Hamad Kalkaba Malboum was re-elected as CAA President at the 2019 Ordinary Congress held in Abidjan on Monday, April 15th, 2019. 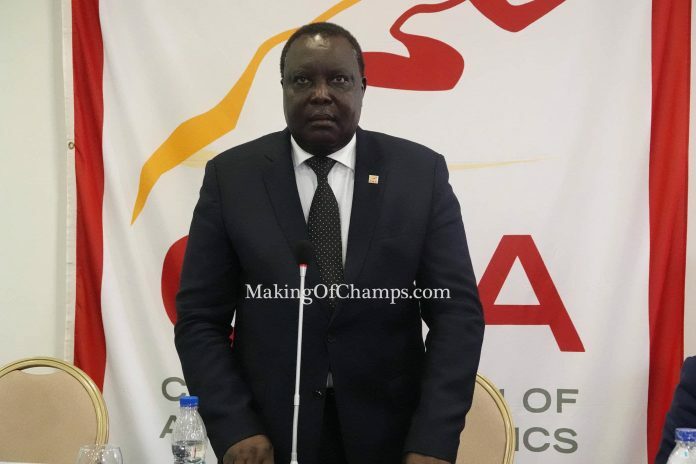 Hamad Kalkaba Malboum returned as President of the Confederation of African Athletics (CAA) on Monday, April 15th, at the Ordinary Congress of the CAA held in Abidjan, Ivory Coast, where he defeated Tunisian rival Amara Khaled by 44 votes to seven to retain his seat. Malboum has been at the helm of affairs of the CAA since 2003 after taking over from Lamine Diack who went on to become President of the International Association of Athletics Federations (IAAF) from 1999 to 2015. 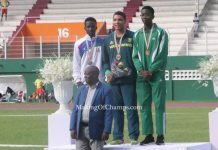 51 of the 54 member federations of the continent were in attendance at the congress, while delegates from Angola, Chad and Sao Tome were absent at the event. 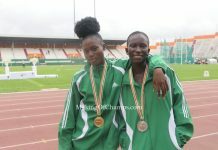 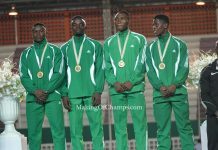 Malboum also congratulated his opponent, stating that the pair had been working towards the development of Athletics on the continent, and would continue to do so. 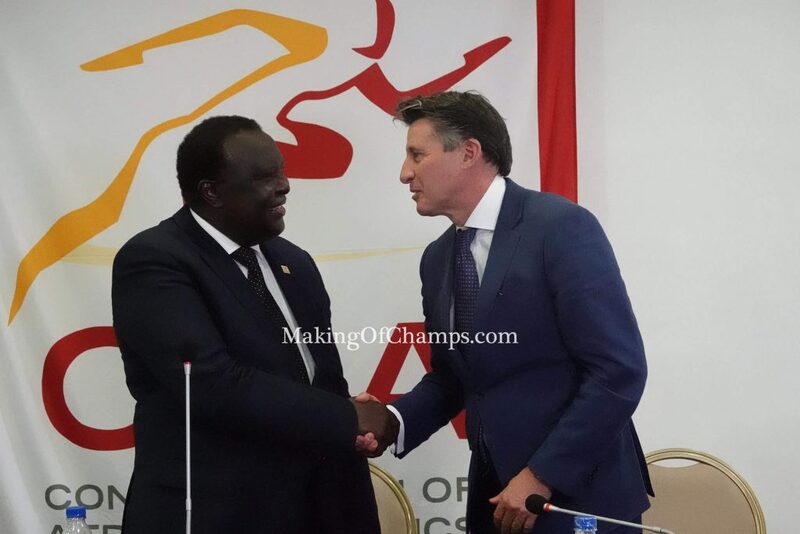 IAAF President Seb Coe congratulates CAA President Hamad Kalkaba Malboum after the former won the elections held in Abidjan.